Nordic Center is busy with trail work for Mountain Bike racing, NENSA's Dublin Double Eastern Cup Races, and the NE Prep School Championships! We have begun preparing our trail system to host our first ever Eastern Cup races on Saturday, February 23rd, 2019. The New England Nordic Skiing Association (NENSA) is referring to our Eastern Cup as the "Dublin Double" since we will be hosting two distinct EC races that day! We will have a 1.5 km skate prologue and a 3km skate pursuit. Both are individual start races. We will post more photos and videos in the fall once we determine the exact courses we will use for the events. Racing at the Dublin School Nordic Center. The Dublin School Nordic Center has also been awarded the New England Prep School Championships for February so it will be a busy winter on our trails! A mountain bike race at the Nordic Center. Additionally, our Canadian friends Stew and Brent worked with some local parents in June to expand our awesome mountain bike trail network. 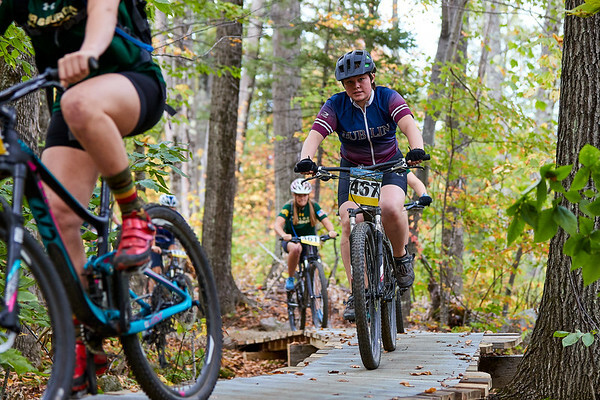 We now have over thirty kilometers of world-class skiing, mountain biking, snowshoeing, running and hiking trails on our campus!